Saad Abdllah reports for the Samos Chronicles about a forced deportation from Turkey to Syria. His friend Mohammad was attempting to cross the Aegean Sea to Greece by boat with other migrants when they were picked up by the Turkish Coast Guard shortly after starting. They were then detained for 6 days, loaded onto a bus without knowing the destination and finally ended up in Idlib, Syria. Little is known on what happens to migrants who are being picked up by the Turkish Coast Guard, Police or Gendarmery when trying to irregularly cross to Greece, except these horrific single stories of detention and forced deportation. We would like to ask our readers to share their knowledge, insights, articles and contributions on this issue with us! Please contact us at harekact@bordermonitoring.eu. Via Samos Chronicles (19th June) – For the past ten days I have been waiting for news from Mohammad. Like me he comes from Aleppo but for the past 6 years he has been with his mother and brother living in Istanbul. Mohammad is 18 years old. We became friends through Facebook where he saw that I was involved with many refugees in Athens and in Samos. He had read my story in the Samos Chronicles. As a young gay man he turned to me for advice and help which I was happy to give. Over the past six months we have talked a lot and a good friendship has developed. I know that he trusts me. Via Afghanistan Analysts – In a recent television appearance, the Turkish Interior Minister, Suleyman Soylu, said that 15,000 Afghans have been sent back home from Turkey. While it is likely that this number has been exaggerated, there is no doubt that in April and May of 2018, thousands of Afghan migrants were sent back on charter flights from Turkey to Kabul. This is the Turkish government’s response after a 400 per cent increase in arrivals of Afghan migrants to Turkey during the first quarter of 2018. In early April of this year, the first charter flight carrying Afghans back to Kabul flew out of Erzurum, a city in eastern Anatolia that has become the centre of these returns. 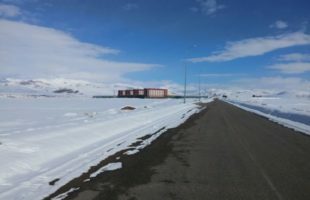 AAN’s guest author Amy Pitonak visited Erzurum to find out first-hand about the situation for Afghans there. Asylum Seekers leaving from Lesvos to Athens in early May 2018. 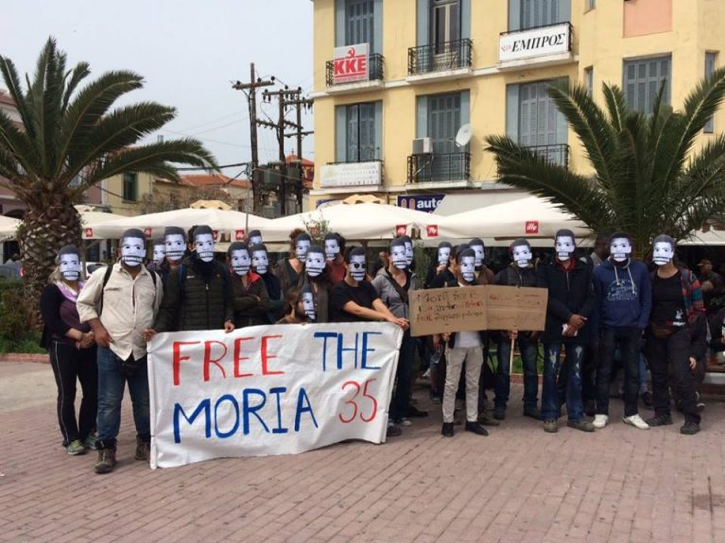 Via Legal Centre Lesbos – In the months since our last update on rights violations and resistance in Lesvos, our advocacy and campaigning resources were almost exclusively focused on the two trials for the Moria 35 and Moria 10 that took place in Chios in late April and early May 2018. Via IBNA – By Clive Leviev-Sawyer, 29.05.2018. Bulgarian Interior Minister Valentin Radev and his Turkish counterpart Süleyman Soylu met in Edirne on May 29 for a workshop on border security and co-operation, the first such workshop on the topic of its kind between the two countries. The main focus of the talks was the efforts made by the two countries to ensure the security of the most sensitive external European border – the Kapitan Andreevo checkpoint, Bulgarian National Television reported. Via Hurriyet Daily News (16th May 2018) – The EU warned on May 16 that asylum seeker arrivals from Turkey have surged this year and called on member countries to act urgently on pledges of support for the bloc’s border force. Via Bosphorus Migration Studies (7th May 2018) – After the EU-Turkey readmission plan, the migrant flows in the Aegean Sea are decreased. However, raised concerns on human rights abuses leaded us to follow recent steps taken by the governments. Orçun Ulusoy and Jill Alpes, prominent scholars working on this topic answered Mehmet Enes Beşer‘s questions. Why do you think there is limited access to people who have been readmitted from Greece to Turkey? Is it mostly due to lack of research on the part of international organisations or lack of data provided by both countries? Valeria Hänsel, who contributes to HarekAct with her insights on the situation for refugees on Lesvos focusing on detention and deportations, wrote a report in German about the trial against the #Moria35 that took place last month in Chios. “32 of the 35 defendants were collectively convicted for injuring a police officer in a four-day trial. They should go to jail for 26 month, though this penalty is temporarily suspended. Lucia Heisterkamp also published a shorter version in German newspaper taz together with Valeria Hänsel.